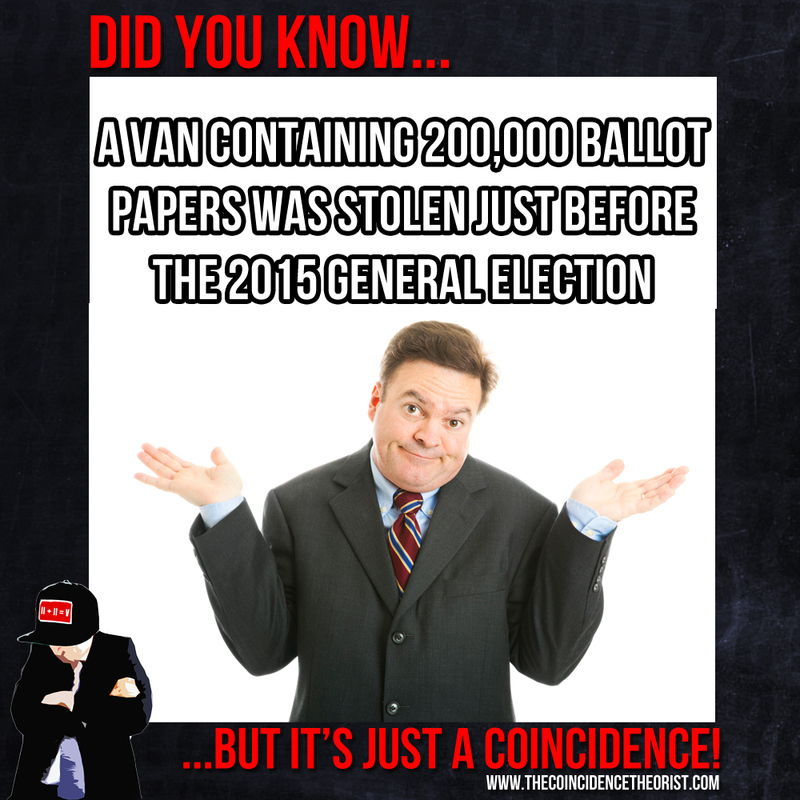 The van, containing hundreds of thousands of ballot papers, was allegedly pinched by thieves just one week before the general election. 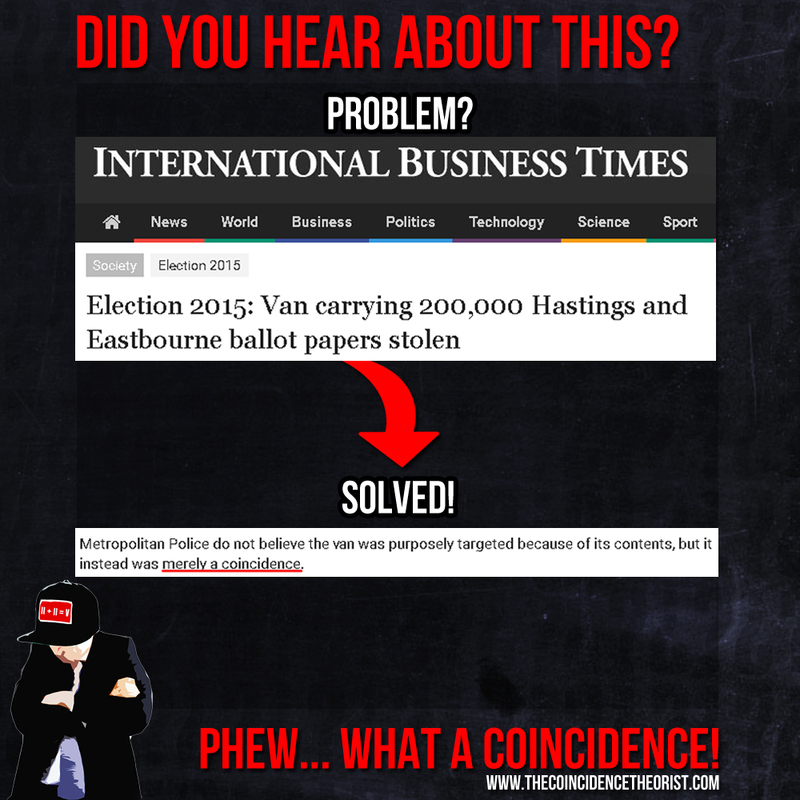 The blank ballot slips were destined for two constituencies in East Sussex before the van was robbed. Some conspiracy theorists have entertained the insane notion that the van could have been targeted intentionally as part of a plot to commit electoral fraud. However, what they don’t realise is that this was all just a massive coincidence. 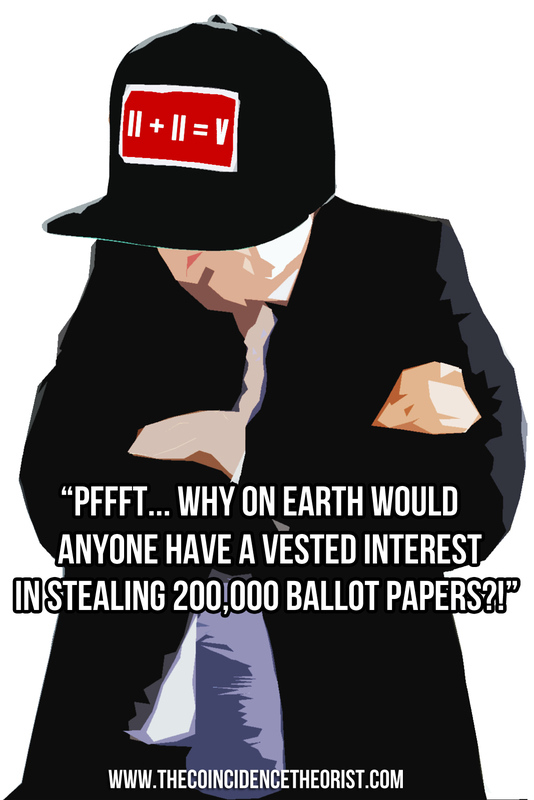 If the van was stolen two weeks BEFORE the Election the forms would not be filled in. Did anyone not get the chance to vote because there was not a form for them? Surely this would be illegal wouldn’t it? David Cameron’s Bloodline Connections 9/11 “Predicted” In The Simpsons?